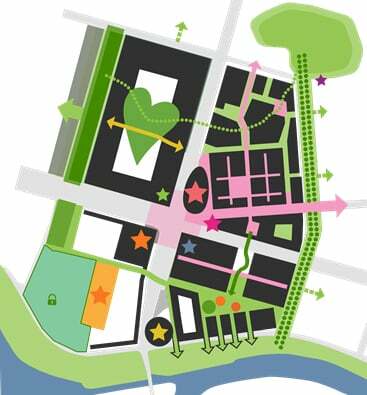 Today, the team of MLA+, Buromoscow, Felixx, Mobility in Chain and Habidatum present their vision for the regeneration of the Hrushchovka neighbourhood of Khoroshevo. The regeneration plan for this area of Moscow forms part of a bigger effort of the city to improve dated residential neighbourhoods. The team has taken the controversy around the subject serious and proposes a plan than seeks to strike a balance between the inherited qualities of the area and the need for an update. More on the project can be found on its website.